Introduced print to the market, immortalizing the publication's web presence onto a tangible quarterly release sold in bookstores worldwide. Hong Kong’s rich and vibrant landscape has forever held the cultural pillar of food close to its heart. With the ebb and flow of a fast-paced, bustling city, eating out and eating well are what’s important to its inhabitants. 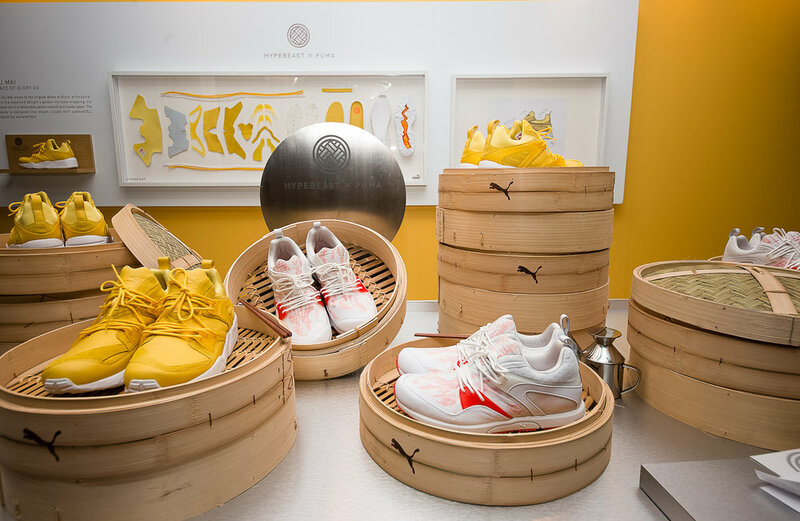 In collaboration with PUMA, we look towards these inherently important facets of Hong Kong culture; food and namely dim sum act as a design inspiration. In the fashion world, the idea of collaboration has been overused and recycled time and time again. But in our eyes, there still exist many exciting opportunities to collaborate and rethink how two parties should join forces. In our Denim Canvas project with Levi's®, we asked two partnering talents -- largely unknown to one another and without prior relationships -- to come up with reappropriations on some of Levi's® most iconic pieces such as the Trucker Jacket, the 501® jean and the Western Shirt. Each pair was given just one day without any prior planning to put together a unique concept and apply it as such on a Levi's® icon. Featuring U.S. Alteration founder Miggy Garcia and Jay Palmer of Tangleblue.